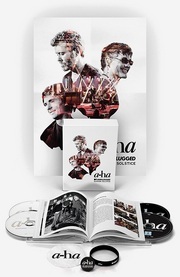 The recent interview with Morten on Swiss news site Blick, in which he supposedly said that “a-ha is a finished chapter” for him and that next month’s tour finale in Bergen “will probably be the definitive end” of a-ha, has caused much debate within the fan community. We are sorry that the interview published on Sunday April 10 in Blick has caused confusion. In the interview Morten is quoted as saying several things which lead readers to believe that a-ha is ending after the last ‘Cast In Steel’ tour date on May 7 in Bergen, and that Morten does not find working with a-ha to be spiritually fulfilling for him anymore. Another quote seemed to imply that Morten does not appreciate support and attention from the fans. None of this is correct, but please accept our apology for this misunderstanding, largely due to some of Morten’s remarks not being presented with the complete context. In a conversation with Morten yesterday, he said that he had been asked about the possibility of a-ha making another album. His answer related to the time consuming nature of working on an album together, and that everyone’s heart has to be in it to get through the process. This is not news to anyone who has followed the band for any length of time, as all three of the band members have said that writing albums together is a very challenging process for them. ‘Cast In Steel’ was announced as a ‘one album, one tour’ project, and his remarks simply confirmed this. That doesn’t mean that there cannot be other projects, but nothing is planned at the moment. Read the entire statement on a-ha.com.